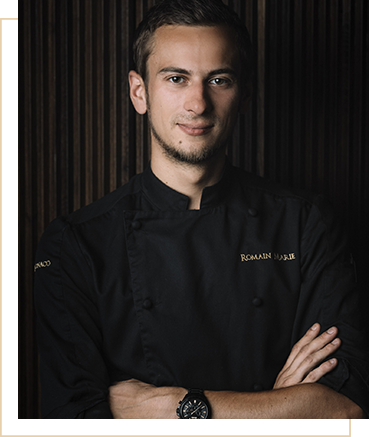 Romain Marie has worked with renowned gastronomic establishments such as La Mangeoire in Courchevel and Le Rivéa by Alain Ducasse in Saint-Tropez. His delicate and crossbreeding interpretation has also seduced many of the most beautiful palaces such as the St-Regis in Bora Bora in French Polynesia. Today at the Baroque Restaurant, the young French chef takes the finest palates on a delightful journey.